Type the text EXACTLY how you want it added to the blanket. Double check spelling please! NOTE: When Ordering, please put Name and/or Badge Number in the Order Notes during checkout. **Please note that we are not responsible for incorrect information entered at the time of order and refunds are not applicable for custom items. If you have any questions regarding the product or design, please contact us BEFORE purchase. I ordered this blanket for my granddaughter so whenever she is wrapped in it or lying on it, grandpa will be hugging her. The delivery was fast and I was very pleased with how the blanket looked and felt. I will be ordering from you again! Thank you. I bought this for my sons, with my department name and my ID. It is made strong enough that I know it can be used for years and still last long after I’m gone. Great quality product, and arrived much sooner than expected. Purchased the blanket as a gift for a friend with her badge number. It was lightning fast processing and shipping, she absolutely loves it. This company not only makes some great looking and meaningful products but also has outstanding communication and customer service. Definitely doing business with them again. I ordered 2 blankets for my kids. My order was processed and shipped the same day. Arrived at my house 3 days later. My kids absolutely love them. Now they feel protected by Daddy 24/7. They take them everywhere. Thanks RD for a great gift idea. All 3 blankets turned out perfect! Great gifts! Everyone loved them. They’re super soft as well. I got this blanket for my hubby. It’s beautiful! He loved it! I love it. My family loves it. I got my last name & badge number on it and it looks great. It’s definitely a great gift idea too. Thanks. It was a gift and they loved the blanket. Love that you can personalize it for gifts! The blanket is incredibly soft, looks great and is very comfortable. Would definitely recommend. Looks great with my shield number. I bought it for my husband as an anniversary gift and had our last name out on it. It was delivered very fast and we both love it. I bought 2 for Christmas gifts & they arrived within 3 days – even customized! In addition, I received emails letting me know where the order stood. I’m very impressed with the prompt service. Oh – and the blankets are perfect. Despite ordering the wrong blanket, the picture uploaded for customization with the color distorted, the staff was amazing at contacting me, & making sure I got what I wanted. Can’t say too many times how happy I am to have found you. Am nothing but pleased with the quality of your products. I placed my order over the phone because I was traveling at the time and Internet was not that easy to work with on my phone. This is not a normal procedure for this company, however, the man who picked up the phone and placed my order was a real class act. I wish I could remember his name. He was very receptive to my order and was extremely helpful during my ordering process. My 3 custom blankets arrived packaged perfectly, and extremely quick. I will be purchasing from RELENTLESS DEFENDER again. I have also referred many people since my order the week before last. Keep on doing what you are doing. Life long customer here. 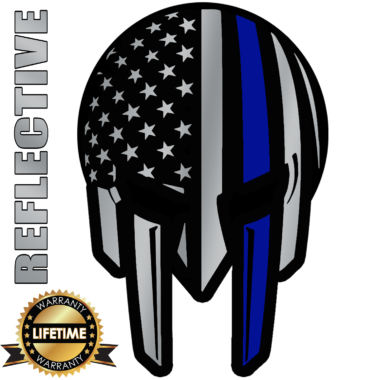 The fact that you are selling a shirt that directly benefits the family of the Fallen Dallas police officers is just another reason for my decision. I ordered 2 thin red line blankets. 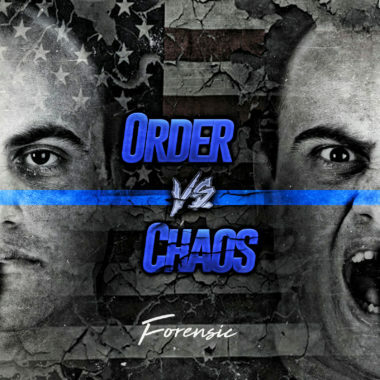 The night before the company was going to ship them to me, they called me at 9 pm and said that since the blankets I ordered were more for police officers they said I could change the top of the blanket as well. I received both blankets on time and with great quality. Both of the girls in my life that I bought the blankets for love them. I have also bought some shirts from them and the quality is second to none. I will be ordering more from them. Thank you for everything your company does to support the men and women that serve in this country. This is a quality made blanket that I know I will keep forever. It is special because it has my ID # on it and I know my children will keep it for years. I bought this blanket as gifts for my girlfriend, daughter and grandson. It was a really nice sight to see my grandson asleep with Papa’s blanket laid over him… He forever knows Papa is with him…. My daughter, who is a disabled vet from her service in Afghanistan, loves it also. She carried my old wallet badge with her every step she took during her tour in Afghanistan. So this is just another reminder that Daddy has her back. 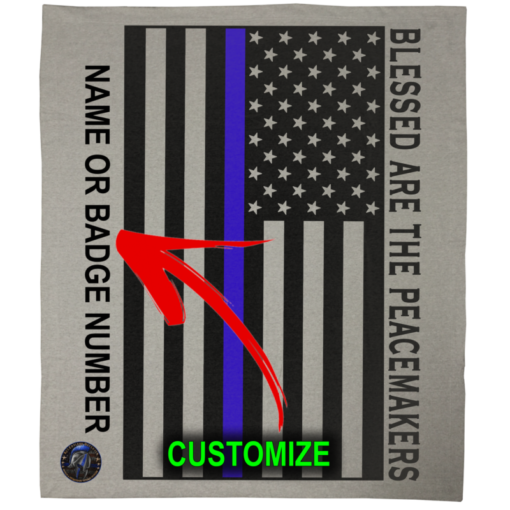 I ordered this for my daughter’s boyfriend who is a Police Officer and he loved it! The only issue is my daughter kind of took it and sleeps with it every night, haha. It is good quality, good customer service and fast delivery! Personalized for my husband with his badge number. It looks better than I imagined! Great quality and fast shipping! Absolutely loved this blanket. Had my name and shield number customized on it. The quality is great and the shipping couldn’t be quicker. I loved the product so much that I ordered a second one for a co worker as well. Thank you again for everything you do. From your NYPD brother in blue. Super soft and perfectly sized blanket. Got this as a gift for my cousin who is an officer and the family loves it. I love this blanket, I ordered one for myself, then ordered a few more as christmas gifts!! My husband and I are retired LEO’s and this was the perfect wedding gift for our son and his soon to be wife who both are also LEO’s ! 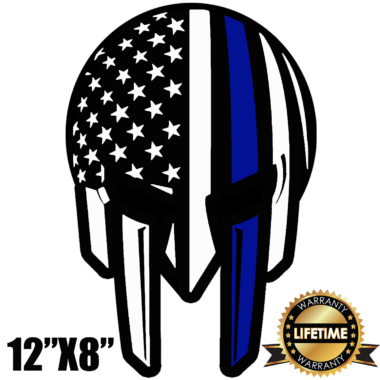 Thank You so much for Backing the Blue ! This was a surprise for a police officer. I love that I was able to put both his last name and badge number. Means so much more! I am nothing but pleased with the product and he was so surprised when it came in! I was able to show my appreciation without breaking the bank. If you’re hesitant on the quality, don’t be. It is nothing short of amazing! Excellent quality throw. Perfect personalization. Fast shipping. Truly worth every penny! Best experience! Ours is a law enforcement family – my dad retired from SCPD (NY) after 20yrs of service, my brother retired from FMPD (FL) after 25yrs of service, I have served for 25yrs @ CCPD (FL), and my husband has served for 21yrs @ CCPD (FL). This is a great momento – I had mine & my husband’s badge numbers personalized on the throw. It came out EXCELLENT! I was a little surprised by what the actual blanket is. My friend ordered one before me and hers looks different, it has a seamed border around it and mine just has the string sewn through the edges like the blankets you see in stores. I however do LOVE the print on it. GREAT color and size – looks beautiful. Blanket is perfect in every way. Nice size and great design. The personalized message is awesome! Very professionally done. Great product!! This is a great company doing great things. I got the customized throw blanket which is great. My daughter insists on using it every night to sleep with. The blanket isn’t too thick and hot. It thin, yet still soft and functional, which is perfect for my house! The first blanket you sent me was off center and crooked. My husband is Phx PD, on a specialty unit…CIT…Critical Incident Team. They are sent to handle all mentally ill. Well he hung the blanket in the main Phoenix Police Precinct. EVERYONE SEES IT!!! You were kind enough to replace it with a perfect one. And everyone LOVES IT!! I hope you get lots of business as a result! I bought this for my husband and one for myself too…we loved them! Perfect little throw! A wonderful fleece throw with nice but subtle personalization made a wonderful gift! This thing is pretty amazing and the fact you can customize it is even better! A really soft blanket and nice that you can personalize it. I bought this for my daughter before I left for the academy that way she knows why I left her. It’s amazing quality and for a throw blanket, it’s pretty warm. I highly rate this product because it really was exactly as I wanted. I purchased the blankets for Christmas gifts for my squad! They are great throws and perfect gifts! Had a misprint on the blanket sent. The customer service was excellent and they sent out a correct one immediately. The blanket is great and very nice print. I bought this blanket due to other reviews and the fact that I could personalize it for my wife. Once she saw it (maybe 4 days from order to delivery) in person… she was ecstatic. 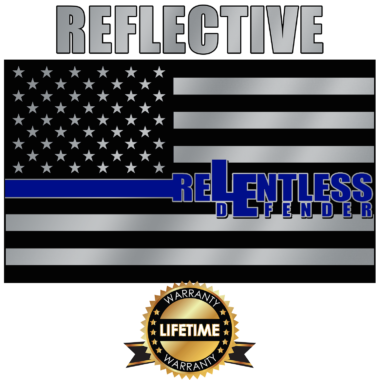 I can not talk high enough of Relentless Defender and there products. Blanket is really nice, good quality printing. Blanket itself is a decent material, but it’s a lighter blanket for sure. It’s smaller than I thought it would be, I guess because of what I thought it looked like in the video, but overall a nice blanket! It was nice. I wish the material was more plush and softer for the amount of money I spent. This material was a blanket felt material not what I expected. The blanket is soft and the print and colors are impecaable! My husband is a deputy sheriff in our county we live in. It gets tiring Trying To figure out what to get for him, that he already doesn’t have. 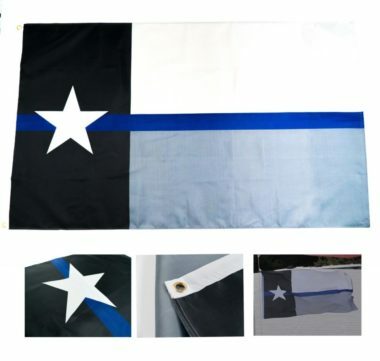 This “Thin Blue Line” blanket was something awesome and new. 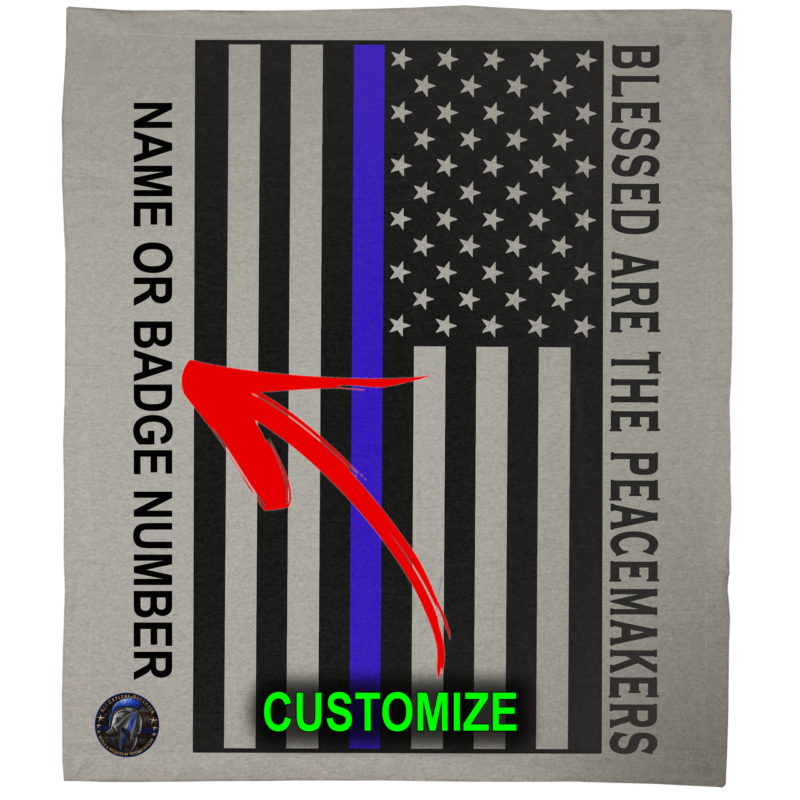 Especially since you can have a name or badge number or call number on the blanket. It’s a very comfortable blanket. Overall, best gift I’ve given him yet. He absolutely loves it!!! This is a nice throw blanket! Very good customer service and prompt responses! For the price I was hoping for a bit thicker but all in all I was pleased. Awesome blanket. Great quality. Quick turn around. 5 stars. This item was a fantastic purchase !! Good price good quality fast shipping !! I do wish it was a little heavier for those cold nights. I put my order in one day, by the end of the day, my order was sent out, delivered within 24 hours! I really could not believe how nice this was, and warm, and the customization is every bit, as nice as the main image! I love this, and so does our son! We lost an officer in 2011 and it has been the hardest thing by far especially since he left behind two little boys. We always try to get them presents for their birthdays to let them know they are still apart of our Leo family! These were a hit and the smiles on their faces were priceless ! Nice to know Dad has them covered! I am so glad I found this blanket – have ordered three so far- nice quality, personalized – great delivery! When I ordered this throw I knew I was going to get a great product because that is the only thing that Relentless Defender know how to do is make too knotch products. The delivery was extremely fast and when I opened the bag and took the throw out I was truly amazed on how it was plus I had my last name on it. My wife saw it and stated she wanted one for herself as well. Truly my favorite blanket yet!! The quality of the design and customization on the blanket were great but I was disappointed with the quality of the blanket. For the price I expected the throw to be thicker but it is almost paper thin. Other than that I am pleased with the product and the fast service. Love love love this blanket! The quality is great, fast shipping, the customization process was easy and the end product looks amazing! Look forward to doing more business with this company. Great idea for loved ones serving!! I wished the blanket was a little thicker, but it is an amazing product non the less! Came exactly how I asked, and is one of a kind! My father is going to love this!!! Fast shipping!! I got this for my brother who is a state trooper in my state for Christmas and I know he is going to love it! The blanket is soft and warm enough for those chilly nights when all you want to do after a long day of work is sleep! The custom badge number is what makes this product awesome! Thank you so much! Great light weight blanket! I had it personalized for my son-in-law and expected a week to 10 day delay before it shipped but much to my surprise, it arrived at my house in 3 days! I was so pleased that I placed an order for a hoodie…same great quality and speedy delivery! Love my customized throw! It’s surprisingly soft and very well made. Got three of them for my shift (customized of course) and they’re going to love them too! This will probably be the first of many purchases from Relentless Defender. Great product, my wife always wraps herself in it. the only reason I gave it 4 instead of 5 stars, I was hoping it was bigger. Beautiful product and I will be ordering more in the near future. Got it within a week too! Got this as a gift for my brother and they are awesome. I absolutely love this blanket. I had it personalized and it turned out perfectly! Love the throw. I can’t wait to give it to my husband. Thanks for getting it to me so quickly. Very nice material and excellent printing of the flag. I purchased 2 throws. They turned out Beautiful!! 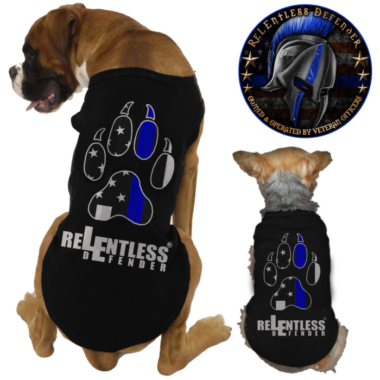 I know they were throw blankets, although I wish they were a little bit heavier… I would definitely recommend ReLentless Defender and will purchase from them again!!! Thank you all for everything you do!!!! Fast shipping, great communication! Love the blanket and design! Only wish was for it to be a little thicker, but for the price, I am not complaining! Thank you! 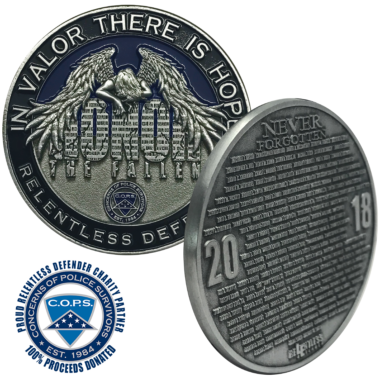 I ordered one of these for my mom for Christmas with my department name and my badge number. The blanket came out great and arrived very quickly. Very soft too. Super fast shooting the design looks wonderful it’s a great purchase and my husband loved it thank you!!! We got this blanket as a gift for my boyfriends dad, and he absolutely loved it. The only thing I didn’t like was that the blanket is kind of thin. Maybe options for blanket size would help. But all in all, he absolutely loved it, it came out very nice! This made Darrah’s Christmas thank you so much for being able to put name and badge number on the blanket. It was a Hit!!!! As long as it took. Blanket is fantastic in every way just upset over the finer details. Service was fast and accurate. Love the look of our “Blue line” blanket with our P#’s and department name in it. Pretty nice throw blanket. Not very warm. Great print. I Love my custom made blanket. I have showed other coworkers who like it as well and want to place an order. I will be ordering another blanket myself soon. I was totally shocked when i got this as a present. It is personalised with my name and badge number. And to top it off it is the best blanket for kicking back and watching tv with. LOVE THIS! My husband and I love the personalized throw blanket I purchased for him as a birthday gift! The material is very soft and cozy yet durable. I also love that a portion of the cost goes to charity! This blanket is for my wife she loves warm blankets and the fact that is personal with our name and my badge makes it extra special. Very comfortable throw. Love the design and the personalization of it. I will be ordering these for my squad for Christmas. Great gift for the kiddos from their dad! I bought this blanket and had my last name n unit number put on it. When i got it, i instantly loved it. Its very soft and light. Its large but still can easily be used for travel. We ordered this throw with my department serial number on it. The throw looks really sharp and my two boys love it! My entire order came quick and you can’t beat the customer service with RD. I have since placed a second order and will continue to order in the future. I bought this blanket in memory of a very good friend of mine who was killed in the line of duty. I love curling up under the very soft blanket and seeing his badge # and thinking of all the fun times we had. I absolutely love it! I ordered this and loved it so much I ordered 4 more for Christmas gifts! Very soft, great size. Relentless Defender is my go to company! Customer service is amazing! I ordered one for my mother for Christmas and after seeing how well it turned out, we decided to order one for our Sheriff for Christmas. And had them both within a week and a half after placing the order. Might even order 2 more for my children to have as keepsakes. I ordered 5 of these blankets for my guys at work as well as family. They will be so pleased with them. I had all of our names and badge numbers printed on them. I can’t wait to see their faces. The blankets are good quality and seem pretty warm for curling up on the couch after a long day. Shipping was quick too! Thanks RD for another high quality item! You guys and gals don’t disappoint! Absolutely love how the personalized blankets turned out! These will be wonderful Christmas gifts for my LEO husband and our LEO daughter. Thank you Relentless Defender!!! Ordered this as a gift for my wife. This throw turned out much better than I had expected. The print on the throw doesn’t appear to be cheap like it will come off in a few days. Very pleased with my purchase and pleased to support Relentless Defender. Thanks guys. I ordered this blanket for my dad for Christmas. I can’t wait to give it to him. He is a retired HPD Officer that after years of working around the chemicals at the airport now has to be on meds that make his blood thin and skin thin and he is always cold. The quality is amazing and it is super soft. Definitely thinking of ordering myself one now. THANKS for all of your help in making this special for him. After a small hiccup with a spelling issue. The folks here were more than accommodating to correct it and send my two blankets back out. Top notch customer service. Shipping was fast, being around Christmas. Blanket is soft and looks great, I ordered 2. One for each of my parents. Will probably be ordering more. Keep up the good work. I now have ordered 5 of these blankets, they are awesome! Very soft and arrived exactly as described. My deputy quickly adopted the one I bought for his wife and he loves it. 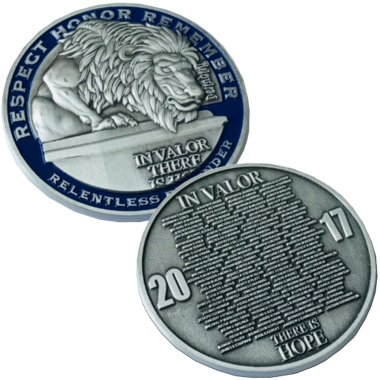 These make great gifts for our peacemakers and family. Great product and amazing customer service! I ordered this blanket as a xmas present for my wife ( shhh! Please don’t tell her..🤐 haha) I know she will stay safe this winter in this badass comfortable blanket. As soon as I received it ( which was fast, by the way! ) I opened it up and was immediately blown away to see her name and badge number under the flag. I would definitely recommend this blanket to the sheepdog in your life! It is quality and money well spent. God blessed the peacemakers this holiday season! Ordered another blanket for my Captain at work. He was thrilled to get it and loved it. Thanks RD!